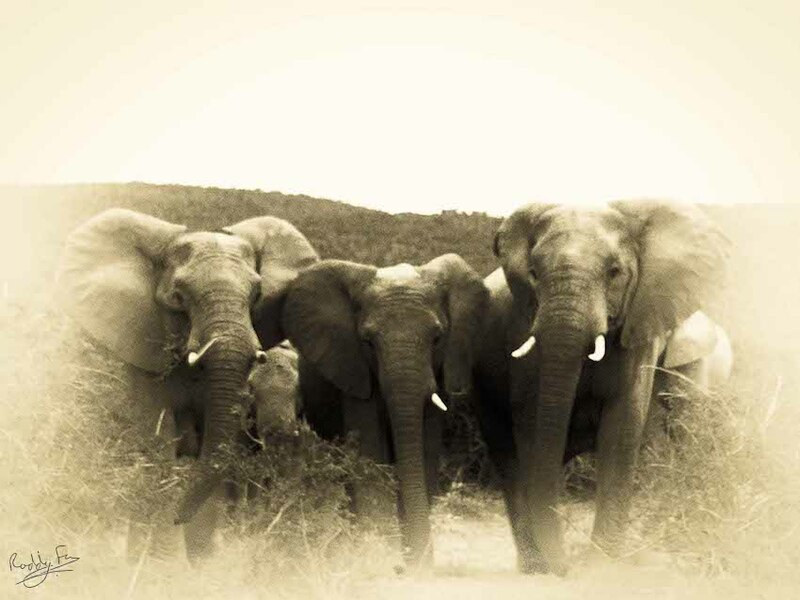 Ever since I won the WESSA Natural Heritage photo competition last October we’ve been looking forward to our trip to Kwandwe. 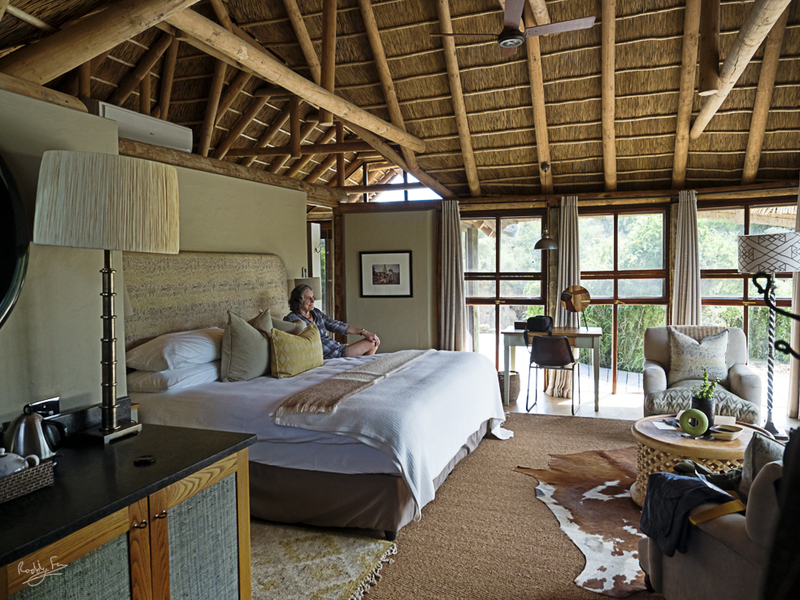 Understated luxury, a conservation victory and your private wilderness is their promise – we weren’t disappointed in any way. 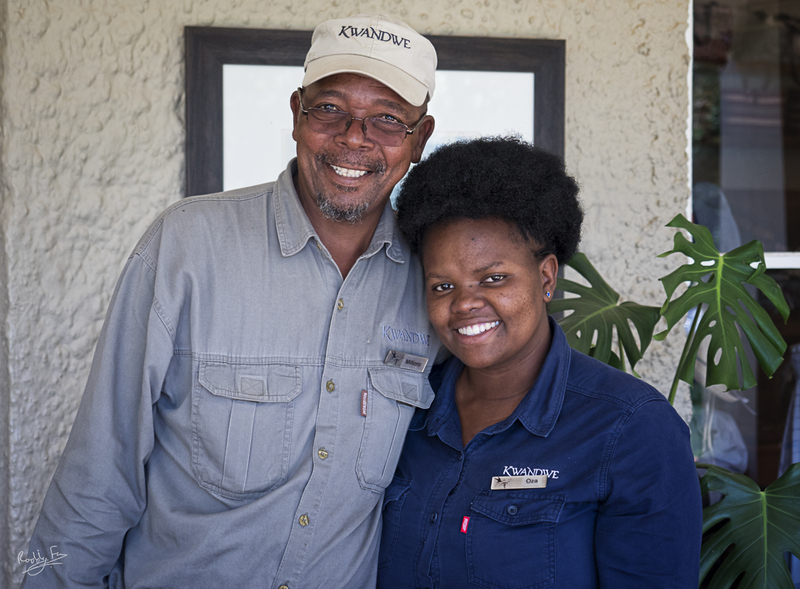 It’s a short drive out to Kwandwe from Grahamstown where we were met by Oza at reception. 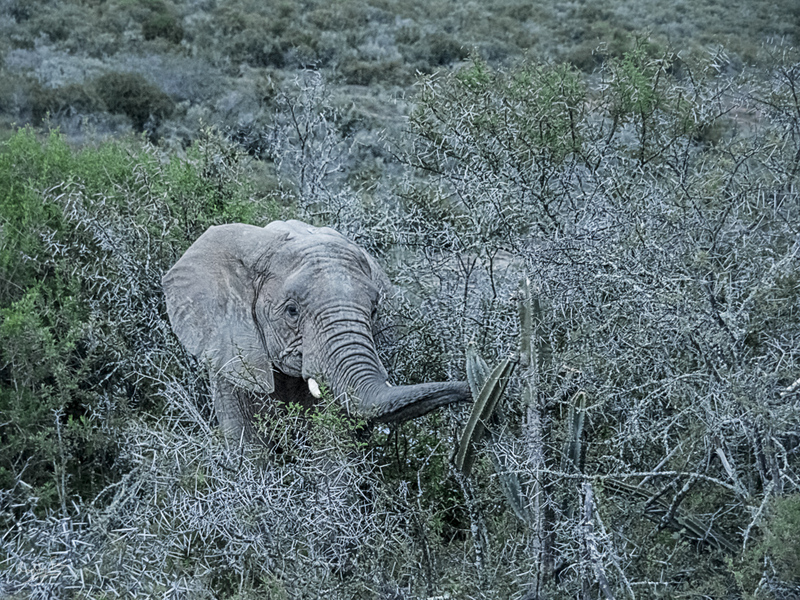 She’s from nearby Joza so we had a neighbourly chat whilst signing into the reserve. 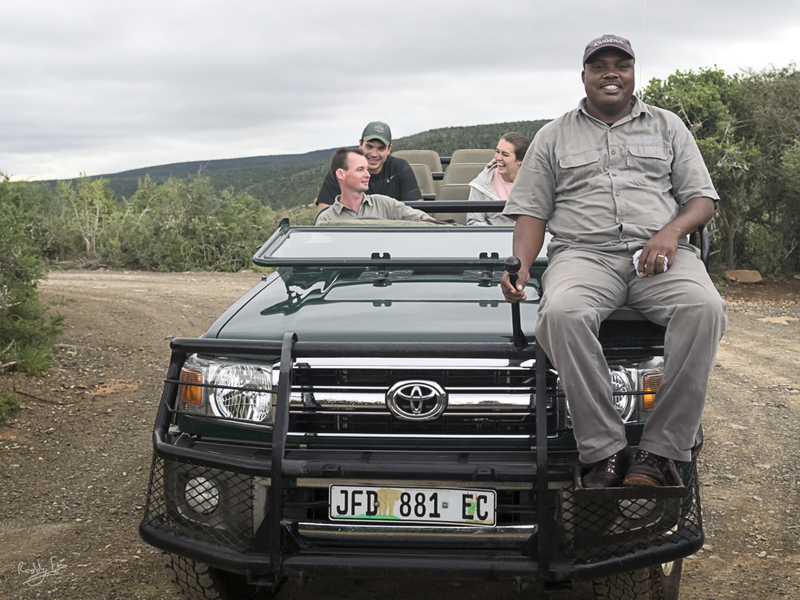 Millions then drove us over in the shuttle to the Great Fish River Lodge. 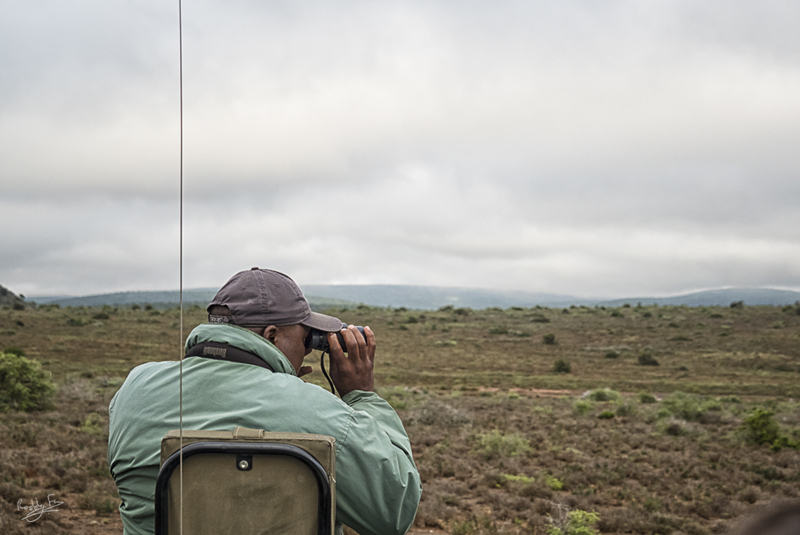 On the way he paused to show us two cheetah in the distance and we spotted a pair of lions stalking zebra. So this was quite an introduction – though unfortunately they were too far away for good photographs. 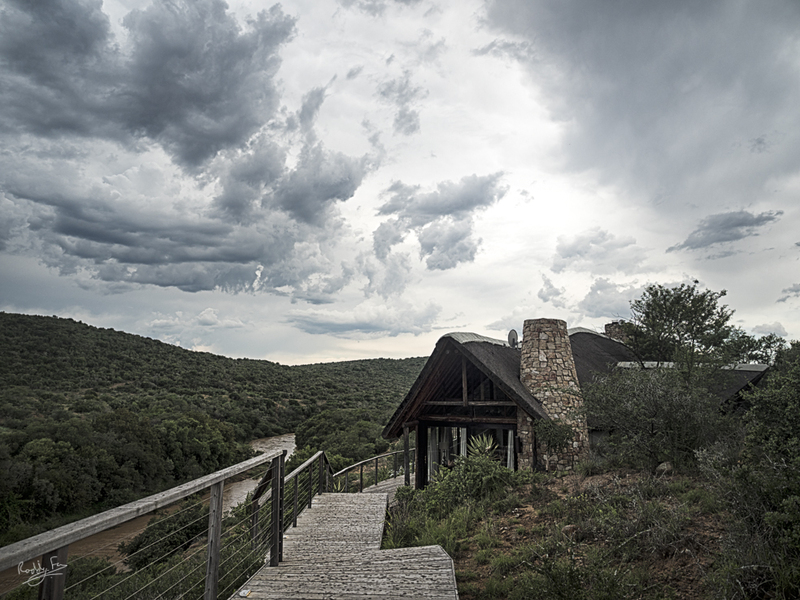 The lodge, and nine secluded chalets, is above the banks the Great Fish River with sweeping views up and down the valley. 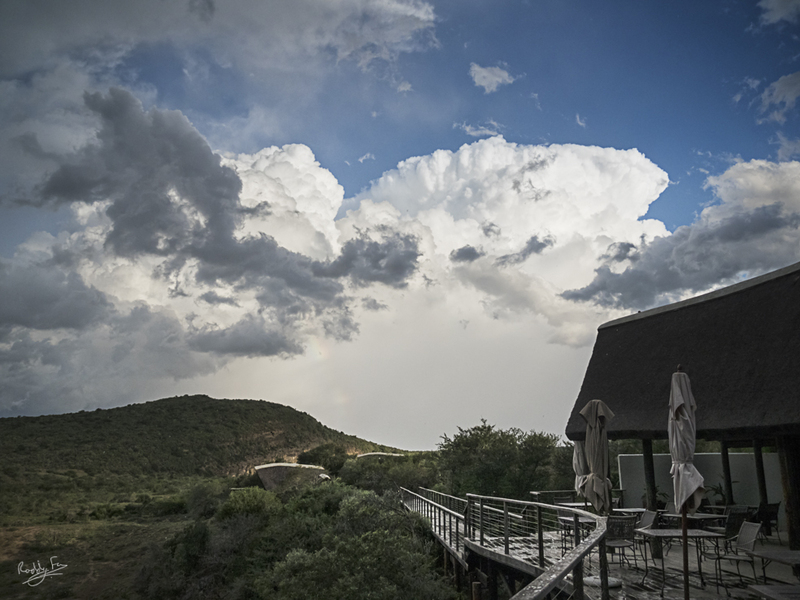 We had quite a few storms whilst we were there – as you can see from the skies above the Lodge – so every night we fell asleep to the sound of the river, the calls of the Fiery Cheeked Nightjars and the barks of the kudu. 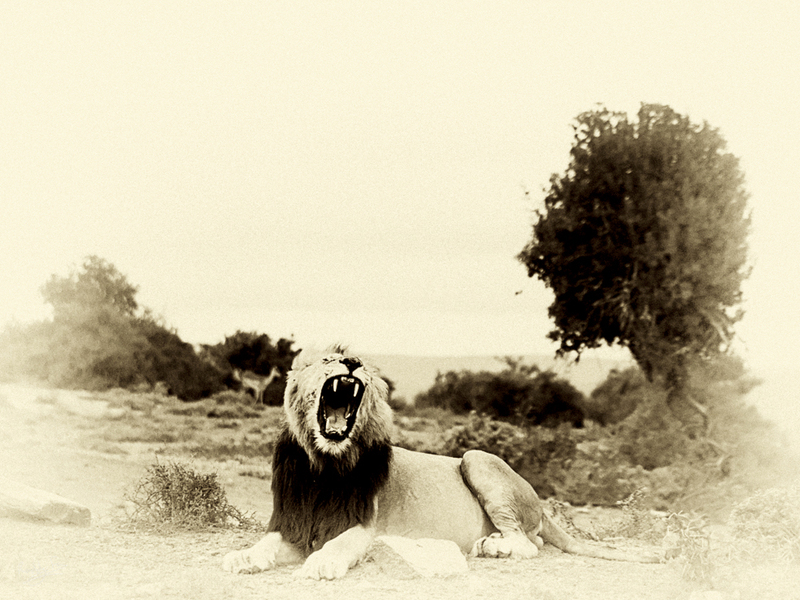 On our first afternoon there was also the distant roar of a lion. 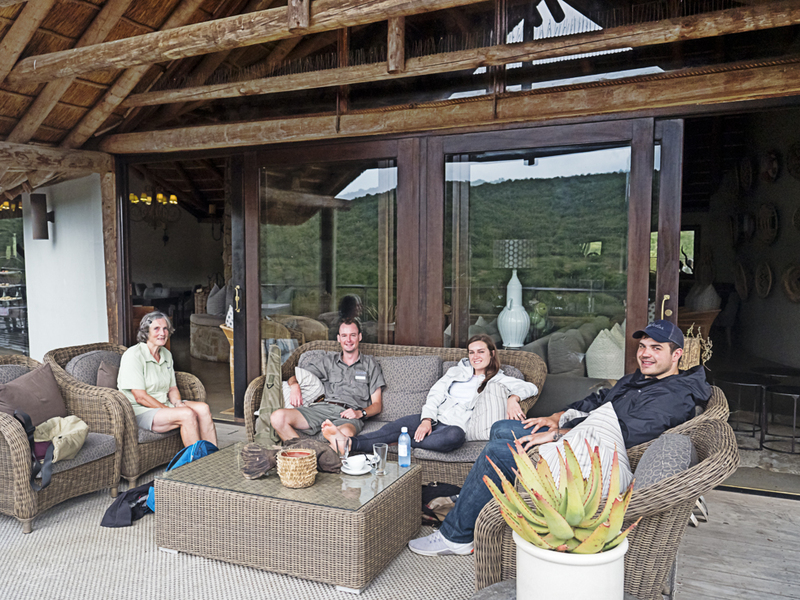 We soon met Chase and Siza who were to be our ranger and tracker and quickly made friends with Jack and Caitlyn Conklin, from Nashville Tennessee, who shared all of our game drives and the hike on our last day. 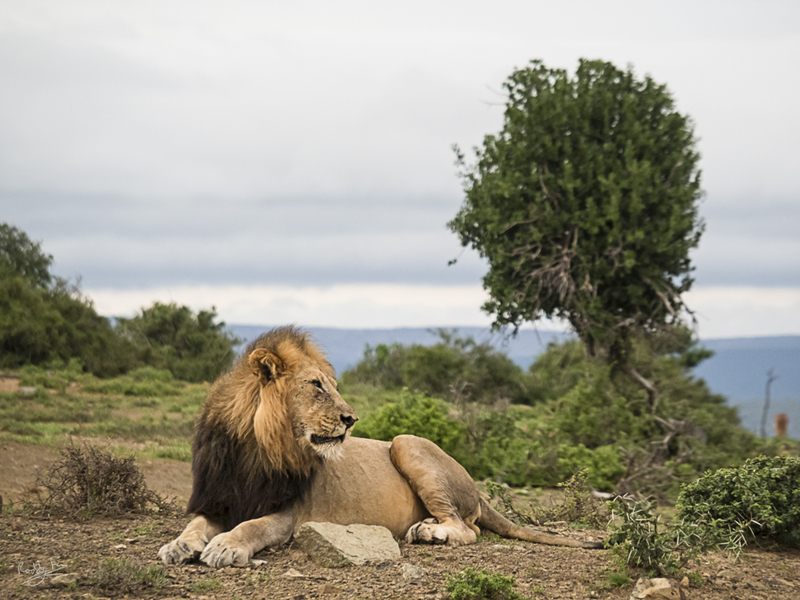 First up was a visit to the male lion that I’d heard roaring. He had a very full belly and wasn’t going anywhere. I’ve tried a retro feel on some pictures; borrowing the idea from the Lodge’s Victorian period photographs. 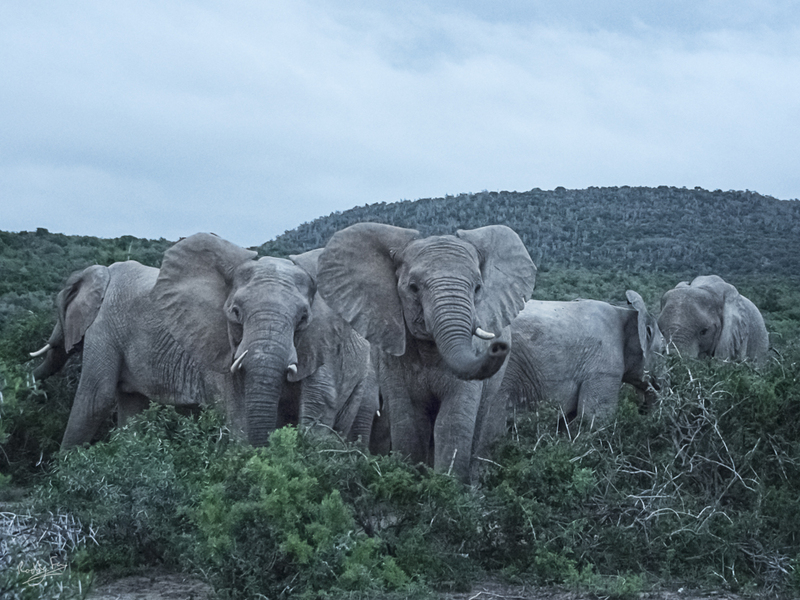 Chase and Siza also found the elephant herd for us and we spent ‘blue hour’ after dusk in amongst them. These weren’t ideal conditions for photography but the superb modern technology from Olympus works wonders in poor light conditions. I used a very high ISO so the pictures were grainy but it was easy to turn one of them into another retro styled image. We saw a lot of game in the next two days. 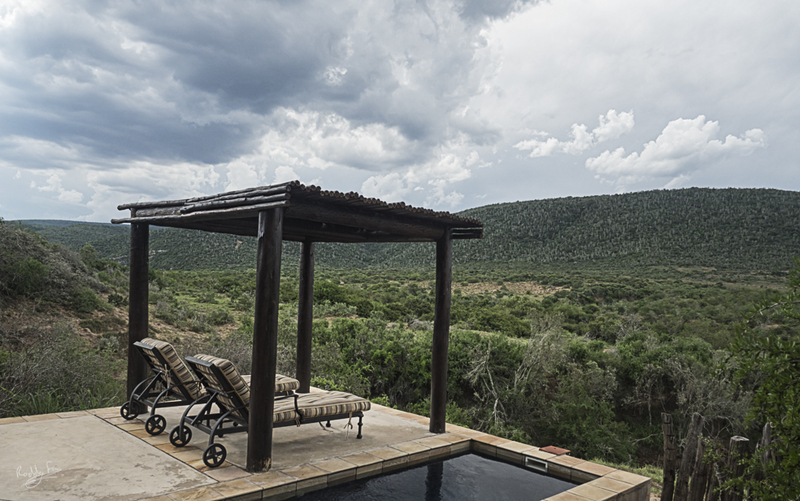 Some close up, some far away and quite a lot was partially hidden in amongst the valley bush veld. 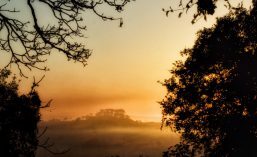 As much as I love wildlife, and really enjoy photographing them, I won the WESSA prize with a landscape photograph. So it’s no great surprise that I spent quite a lot of time capturing the gorgeous light over the valleys and plains at Kwandwe. I was helped a lot by the stormy weather which produced spectacular clouds and lightning followed by clear skies. I even managed to get a good picture of the Milky Way arching up overhead. 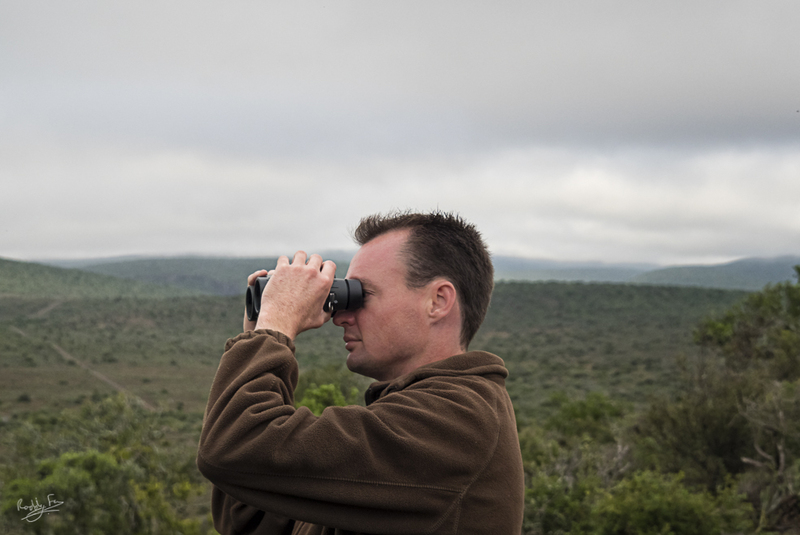 The Kwandwe experience will live with me for a very long time – I hope I’m fortunate enough to win another visit!